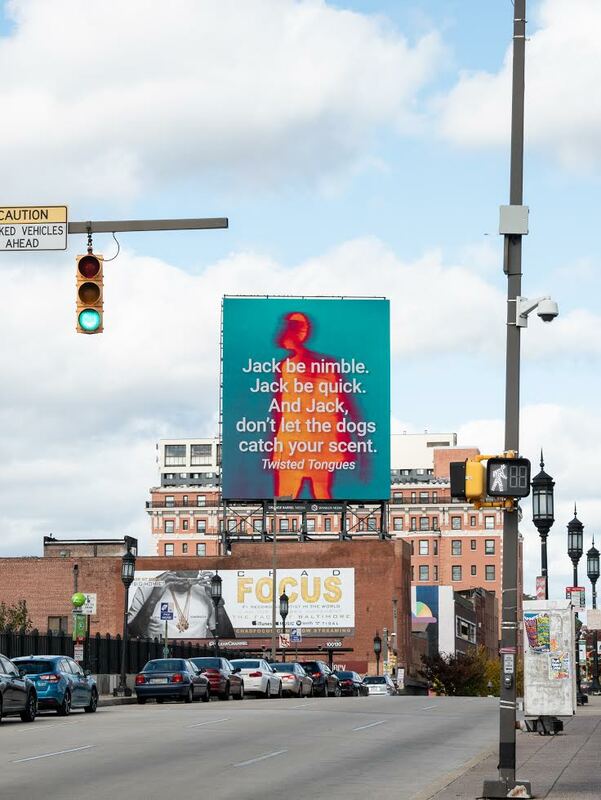 Congratulations to Tyler Wilson (‘20) for having her powerful work displayed on a billboard in Baltimore! What an honor it was to host such an inspiring Visiting Artist! Thank you for visiting Mount Royal, Michelle! Come see our fall show! On view until November 18th. Pleas join us this Friday, 11/2, for the reception of TIMONIUM (NONE OF US LIKE EACHOTHER) and see what we’ve been up to all semester! We are thrilled to host Visiting Artist, Javier Téllez! Please join us for his lecture this Tuesday! Mount Royal Alums- reserve your seat for Carolee Schneemann's lecture! Hi Mount Royal Alums, please fill out the following form if you would like to reserve a seat for Carolee Schneemann’s lecture next week. We are honored and excited to host Visiting Artist, Carolee Schneeman! Congratulations to Xinyi Cheng ('14) on the impressive review in the New York Times by Roberta Smith! First Year Juried Show is now open! Reception on August 20th. Come see what these current MICA MFA students have worked on this past year including work from our very own Mount Royals— Julia Clouser, Sun Woo Jung, Justin Stafford, Zachary Titford, and Sicheng Wang! Xinyi Cheng('14) at Matthew Marks Gallery in NYC!!! Congratulations to Xinyi Cheng (Mt. Royal '14) for being included in such an incredible exhibition at Matthew Marks Gallery in NYC! Congratulations to Nandan Sam He('18) and Juyi Mao('18) for being included in the exhibition, "Illumination in the Black Box"
Check out this interview with Francisca Carvalho (MTR '16) about her exhibition in Kerala! GRAD SHOW III is here! Mark your calendars and come out to support and celebrate our incredible Mount Royal second years on their thesis exhibition! We are thrilled for Beth B to visit us tomorrow! Make sure to join us for her lecture-- You wouldn't want to miss it! Wonderful talk by Francisca Carvalho (MTR '16)! Xinyi Chen’s (MTR ‘14) work in Art Basel Hong Kong!!! Congratulations Katie Duffy (MTR '14)! So wonderful hosting Mt. Royal Visiting Artist, Lara Schnitger! Congratulations to MTR Artist-In-Residence, David Brody, on his solo exhibition! We can't wait to host Evelyn Hankins tomorrow! Evelyn C. Hankins has been a curator at the Hirshhorn Museum and Sculpture Garden since 2007. While at the Hirshhorn, she has also organized an array of projects, including Mark Bradford: Pickett’s Charge (2017); Robert Irwin: All the Rules Will Change (2016); Susan Philipsz: Part File Score (2016); At the Hub of Things: New Views of the Collection (2014) (co-curated); Jennie C. Jones: Higher Resonance (2013); Over, Under Next: Experiments in Mixed Media, 1913-Present (2013); ColorForms (2010); Walead Beshty: Legibility on Color Backgrounds (2009); and The Panza Collection (2008). Currently, she is working on shows with Charline von Heyl (2018) and Pat Steir (2019). In addition to her exhibition responsibilities, Evelyn provides curatorial oversight for the Hirshhorn’s paintings and works on paper collections. Previously, she held curatorial positions at the Whitney Museum of American Art, New York, and the Robert Hull Fleming Museum at the University of Vermont, Burlington. She earned her M.A. and Ph.D. in art history from Stanford University.